And the Oscar goes to … that guy. An analysis of the awards’ not-so-major categories. When I do this feature next year, Black Panther will be all over it and Annihilation will likely rate a mention. However, I’m still on the movies of 2017, and I’m ready to give you Oscar picks for all the mid-major categories, my way of honoring the best achievements in elements of filmmaking that usually get overlooked. As always, any wrong predictions result in a refund of what you paid to read this article. Cinematography: We’ve got warring narratives here: Will Roger Deakins win his first Oscar at the 13th time of asking? (Blade Runner 2049 isn’t the sort of movie that typically wins this particular Oscar, but this time might be the exception.) Or will Rachel Morrison, the first female nominee ever in this category, become the first female winner for Mudbound? These races tend to tilt to the grizzled veteran, but the best photography job in this field was Dan Laustsen’s for The Shape of Water, and it shouldn’t be discounted. How on Earth did Sayombhu Mukdeeprom not get nominated for Call Me by Your Name? Did the voters not know how to pronounce his name? Even if they haven’t seen his gorgeous work in Thai movies like Uncle Boonmee Who Can Recall His Past Lives, this omission is inexcusable. Wonderstruck and The Beguiled would have been better candidates here than Darkest Hour, as well. Every year there seems to be a bad movie that nevertheless sports great cinematography, and my pick this year is A Cure for Wellness. Production design: This category has maybe two nominees that deserve to be here in The Shape of Water and Blade Runner 2049. One of those will likely win, unless Dunkirk’s Nathan Crowley gets enough voters to give him this as a lifetime achievement Oscar (four nominations, including ones for The Prestige and The Dark Knight). 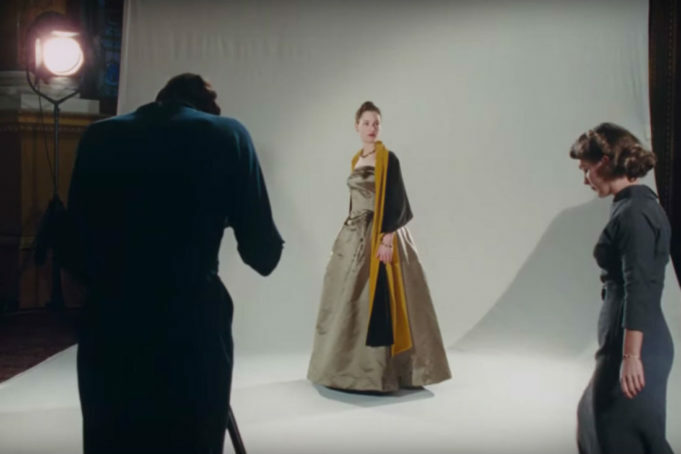 I have no idea how Mark Tildesley’s work for Phantom Thread’s 1950s ateliers and fitting rooms went unrecognized in this category. Maybe a wrongheaded bias against futurism worked against Ghost in the Shell and Valerian and the City of a Thousand Planets, but that doesn’t explain the overlooking of Anne Ross’ Southern Gothic house of horrors in The Beguiled or Mark Friedberg’s expert evocation of two different eras in Wonderstruck. Philip Messina’s work on that phantasmagoric house in mother! is a great piece of production design that you might not notice at first glance. Costume design: You figure that if La La Land couldn’t win this Oscar last year, what contemporary film possibly could? 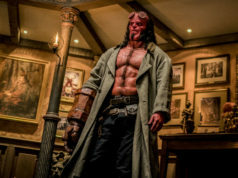 There are no contemporary movies nominated this year, even though Jürgen Doering’s high-fashion costumes for Personal Shopper and Courtney Hoffman’s impossibly cool clothes for Baby Driver would have been better choices than Beauty and the Beast or Darkest Hour, neither of which has any business being here. Also ignored were great costumes for movies set in the past (The Beguiled) and the future (Valerian and the City of a Thousand Planets). Luis Sequeira’s outfits for The Shape of Water are good, but if that movie wins this, that might be a harbinger of your Best Picture winner. The winner should be Mark Bridges’ costumes for Phantom Thread, a film that is, after all, all about the clothes and set in a particularly photogenic era. 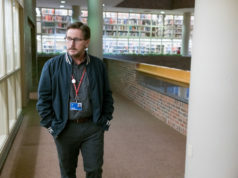 Foreign-language film: It seemed like The Square had all the momentum at year’s end, but since then people appear to have come round to the idea that Ruben Östlund’s Swedish farce is as smug and unimaginative as the art world that it’s trying to satirize. The LGBT vote might carry the day for the precise, controlled transgender story A Fantastic Woman (Chile), but not only is Loveless (Russia) the best film here, director Andrey Zvyagintsev has a well-earned reputation, a history of run-ins with Vladimir Putin, and a previous Oscar nomination for Leviathan. His movie is a portrait of a corrupt society full of narcissists through the story of a missing boy, and a vote for it will be a vote to stick it to the Russians. Once again, the inane one-country, one-film rule kept out some worthy entries like Graduation (Romania) and Raw (France). Even so, the LGBT vote couldn’t get BPM (France), Thelma (Norway), or The Wound (the subject of rioting and death threats in its native South Africa) onto the list of nominees, when any of them would have been better than the nominated films from Sweden or Hungary. The same can be said of the submitted films In the Fade (Germany) and A Taxi Driver (South Korea). Animated feature: No mystery about this one; Coco’s going to walk off with the statuette. The rest of the field is unusually weak, as the second-best film is the highly wrought but dramatically inert Loving Vincent. Since the Academy didn’t nominate The Lego Movie three years ago, it probably shouldn’t be a surprise that they also failed to recognize The Lego Batman Movie. Still, what’s with the Japanophobia here? Sunao Katabuchi’s In This Corner of the World and Hiromasa Yonebayashi’s Mary and the Witch’s Flower would have been better choices for this category than any of the non-Coco nominees. It’s as if Japanese animated films that don’t have Miyazaki’s name on them don’t exist. (If you’re wondering about Makoto Shinkai’s Your Name, it was eligible for last year’s Oscars, not this year’s.) Heck, even Cars 3 would have been an improvement on Ferdinand or The Boss Baby. Documentary feature: The battle likely comes down to the globally aware Last Men in Aleppo and the small-scale Faces Places. Usually the Academy goes for the former, but I’m guessing that the chance to give an Oscar to the widely acclaimed 89-year-old Agnès Varda in what’s likely her last film (because her eyesight is going) will be too strong a pull for the voters. Consult my best documentaries of 2017 article for more information about this category. Original score: The smart money seems to be on Alexandre Desplat for The Shape of Water. And, like, why? His music for that film is appropriate and no more, and it’s far from his best work. The only score in this field that remotely deserves to win is Jonny Greenwood’s lush and dissonant music for Phantom Thread, mirroring the film’s opulent atmosphere and poisonous relationship at its heart. All the other best scores of the year were electronic, and the music branch showed their hate for the electronic stuff, ignoring great music by Daniel Hart (A Ghost Story), Cristobal Tapia de Veer (The Girl With All the Gifts), and Oneohtrix Point Never (Good Time). John Williams picked up his 46th Oscar nomination with his score for Star Wars: The Last Jedi, but he did better work in The Post. Insanely, no African-American composer has ever won this category, and the Academy wasted opportunities to tip Tamar-kali’s acoustic score for Mudbound and Michael Abels’ African-inflected one for Get Out, a key to the movie’s success. Original song: On the other hand, the music branch ordinarily loves to nominate songs sung by music stars so that those big names can perform on the Oscar show. This year’s field was so crowded that some of those stars got squeezed: Carly Rae Jepsen (“Cut to the Feeling” from Leap! ), Sara Bareilles (“If I Dare” from Battle of the Sexes), Taylor Swift and Zayn Malik (“I Don’t Wanna Live Forever” from Fifty Shades Darker). The voters did well to nominate Common’s “Stand Up for Something” from Marshall, but any one of those omitted artists would have been a better choice than “This Is Me” from the mysteriously beloved The Greatest Showman. I’ll say the same for Oneohtrix Point Never’s “The Pure and the Damned” from Good Time. Unless “Remember Me” from Coco can play spoiler, figure on Benj Pasek and Justin Paul winning their second Oscar in two years. The most deserving winner is Sufjan Stevens’ “Visions of Gideon” from Call Me by Your Name, which is both gorgeous and put to excellent dramatic use in the film.